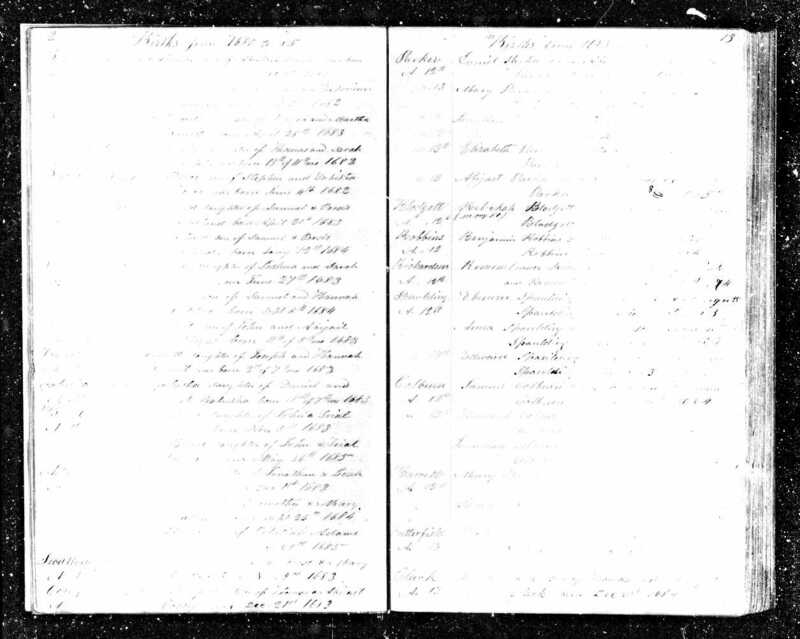 "Hannah Flatcher, w. Samuel, July 8, 1759, a. 70 y. G.R.1." "Samuel Flatcher, September 6, 1749, a. 66 y. G.R.1. 1684." Vital Records of Westford, Massachusetts to the Year 1849 (Salem, Mass. 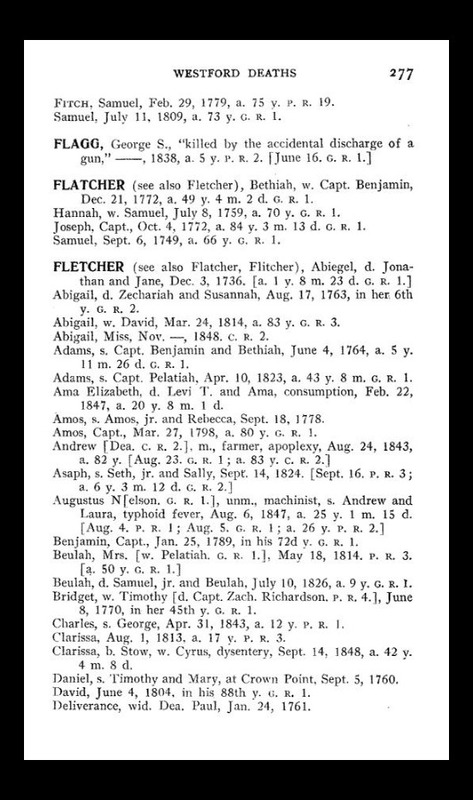 : The Essex Institute, 1915), Deaths, page 277, Hannah Flatcher entry (wife of Samuel, age 70). Note that both records are from their gravestones (G.R.1. which is Fairview Cemetery in Westford) and not from the Westford town records. This is a case where the gravestones are the only extant death records. 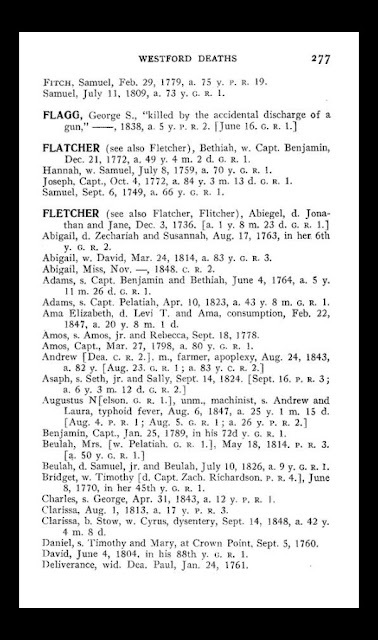 Samuel Fletcher (1684-1749) was the fifth of ten children born to Samuel Fletcher (1652-1723) and Hannah Wheeler (1649-1697) of Chelmsford, Massachusetts. He married Hannah --?-- (Foster?) (1689-1759) in about 1712, and they had nine children between 1713 and 1729, all born in Chelmsford except for the last child born in Westford. Hannah's parents are not known.